Josef's offspring are amazing!! Super fine with high gloss luster and beautifully dense lock structure. He is the ultimate prepotent stud that passes his superior traits to his offspring. 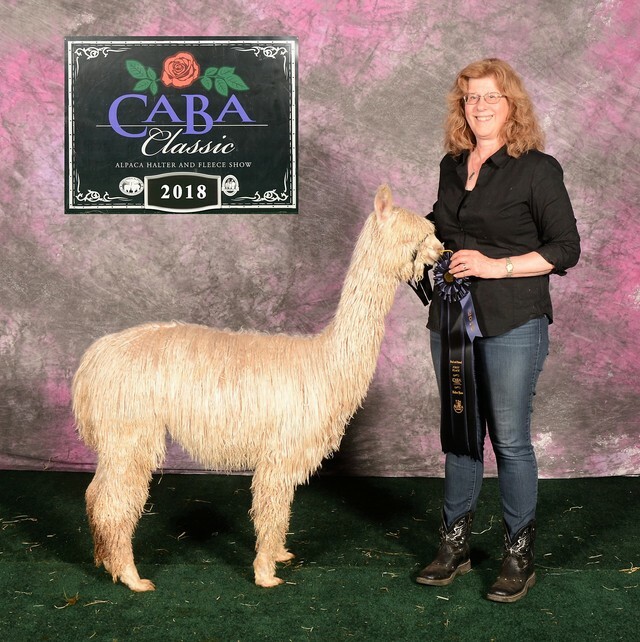 Josef won his first Get of Sire class in 2018. Big Timber Josef’s Laurel is absolutely stunning! 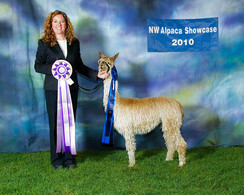 Her championship pedigree includes 11X Champion Josef, Kahuna, Armani, Inca, Harmony, Kerolyn and Eleuteria. 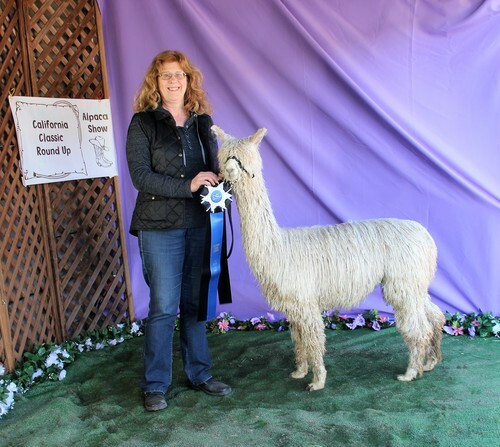 Her sire, Kahuna's Josef is one of the top white herdsires in the country, who is producing champion offspring. Laurel's dam is a 2X Champion, who also produces champion offspring. Champions run deep in Laurel's genetics. 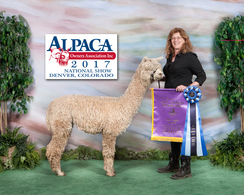 These generational champion genetics have infused into Laurel’s fleece extreme luster, fineness, density and staple length. Her highly organized lock structure is silky soft with a cool hand that highlights a strong, feminine frame. 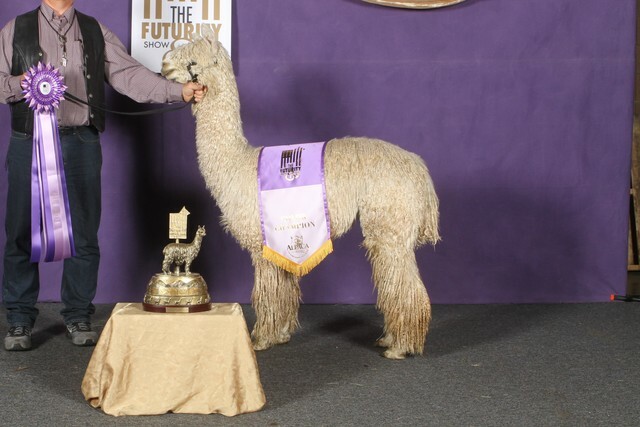 Laurel did spectacular in her 2018 shows, winning Champion in a competitive Bred & Owned Class and firsts in most of her halter classes, as well as being in our Breeder's Best Three and Josef Get of Sire first place wins. 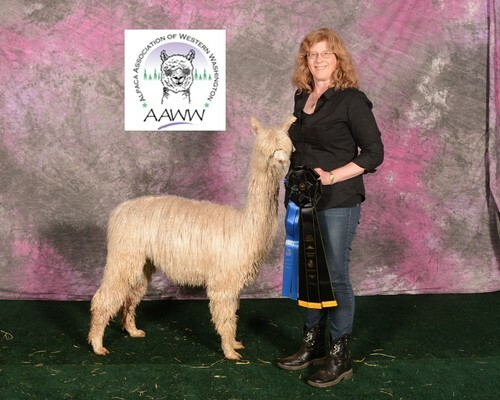 Because of her championship win, Laurel is eligible for the 2019 AOA Nationals Invited Champion competition in Denver on March 15-17th. Laurel is the complete package. We plan to breed this top stud female to either Big Timber's Fyre Dancer or HFS Jeremiah in 2019. Can't wait to see this offspring! !